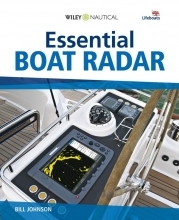 This essential guide introduces boat owners to radar fundamentals, covering everything from reading a radar screen, avoiding collisions, and tracking weather to navigating and piloting using a radar/map display. 2 Radar - what it does, and how it works. Understanding what a radar does. How radar displays the picture. Conclusion: looking at a radar picture. 3 Basic machine and controls - how to get a good picture. Brilliance, or light and contrast. 4 How to use radar for collision avoidance. Practical approach in reduced visibility. 5 How to use radar for navigation and pilotage. Comparison between chart and radar picture. 6 More radar science - confusion and anomalies. Pulse length and pulse repetition frequency. 7 Modern radar - more advanced functions. Combining radar with navigation information. True motion display: ground stabilized. True motion display: sea stabilized. 8 Choosing and installing radar.